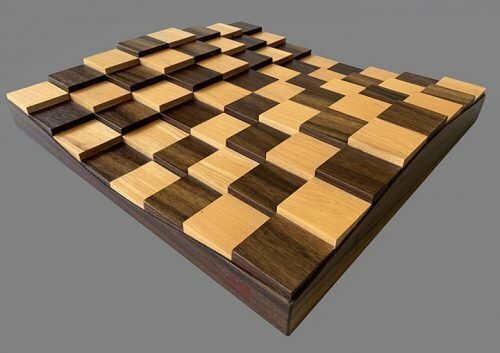 Three Dimensional Contemporary Chessboard in American Black Walnut. 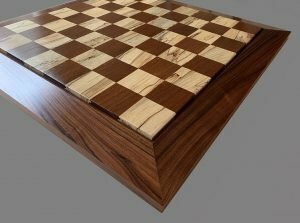 Offered here is a highly original Three Dimensional Contemporary Chessboard. This spectacular 3-D chessboard is crafted from American Black Walnut and Hard Maple and features a modernistic contoured playing field with raised and sunken squares on the ranks and files. 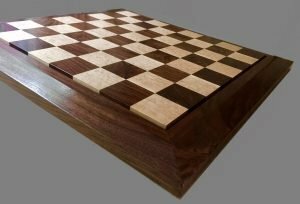 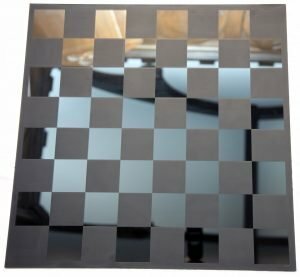 The frameless Chessboard measures 14″ overall with 1-3/4″ squares.. 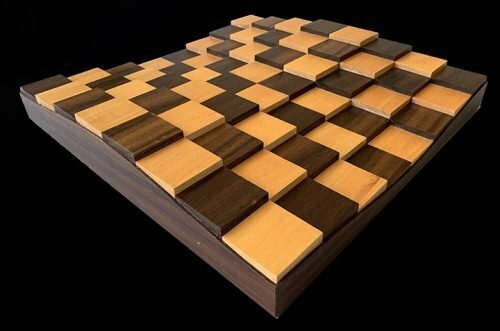 This Chessboard was designed to accommodate the Anri Universum Chess Pieces as well as other abstract chessmen designs. 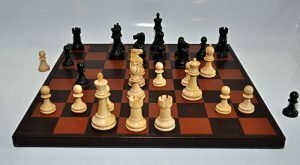 The chessboard is like new. 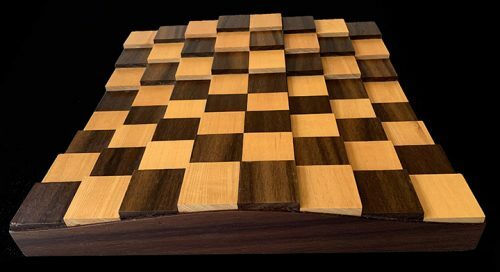 American Black Walnut is found in the Eastern United States. 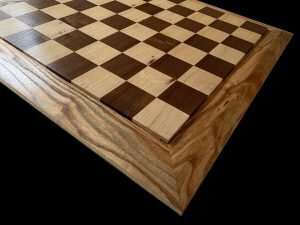 More information on American Black Walnut can be found here.